When you need to measure points loss on installed systems, where it is used to find faults and measure point losses such as caused by splicing, turn to an OTDR. Optical time domain reflectometers (OTDRs) are impressive pieces of equipment which is essentially an optical radar: it sends out a flash of bright light, and measures the intensity of echo or reflections. This weak signal is averaged to reduce detection noise, and computation is used to display a trace and make a number of mathematical deductions. OTDR is most commonly used during installation acceptance and maintenance of outside plant cables. In this role, it is likely to be used to identify point losses, the length of various cables, and to measure return loss. What Is The Difference Between OTDR Testing And Insertion Loss Testing? An insertion loss test made with a light source and power meter is a simple test that is similar in principle to how a fiber optic link works. A light is placed on one end of the cable and a power meter measures loss at the other end, just like a link transmitter and receiver use the fiber for communications. An OTDR works like radar that sends a pulse down the fiber and looks for a return signal from fiber backscatter and reflections from joints, creating a display called a “trace” or “signature” from the measurement of the fiber. From this trace, the OTDR calculates fiber length, attenuation and joint loss. So ODTR does not measure loss directly, it implies it from the trace. High skill requirements – Interpreting the trace requires too much skill for most field technicians. OTDR readings must be analyzed and interpreted by trained and experienced people. These people must rely on the built in automation program to compile data tables, and may have little idea what to do with the trace. Since only highly skilled users can set up the parameters for this automation, in some circumstances most users can get into major difficulty. Limited Accuracy – Limited accuracy when determining the end to end loss of a system. It typically makes a poor job of measuring the loss of the end connectors, which are themselves a cause of problems. In addition, The distance measurement accuracy is only about 1 – 2 % at best. For example a displayed result of 12.1567 Km is actually more realistically 11.91 – 12.39 Km, an uncertainty to field staff of nearly half a Km. The reasons for this are fundamental and are due to variations in cable manufacture and index of refraction. 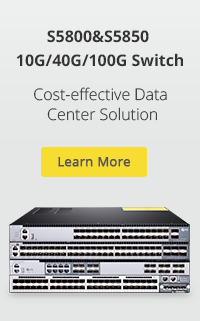 So a measurement of 1 Km, is typically not 1 Km of cable, and certainly not the exact route length. Use of a Cold Clamp can greatly improve distance accuracy. Dead Zone – OTDRs have a “dead zone” that may extend a hundred meters from the unit in which accurate readings are unavailable. You can overcome this limitation if you use a launch cable, but you must carefully interpret the signal trace. Although instruments may advertise an event dead zone of say 5 m, this is only under specific conditions. Inpractice the dead zone may go up to a km for long distance work. This makes these instruments of less use on short systems. Other tools, such as a visible laser, may be required to precisely identify the fault. This has become a big issue as the fibre count in cables has increased, which has caused an increase in the requirement to avoid disturbing already installed closures and racks. 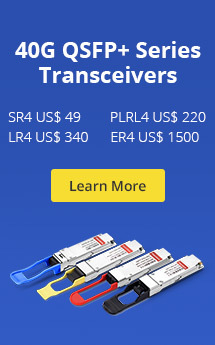 Limited Applications – Limited use on “passive optical network” systems that use couplers or splitters to connect one source to multiple locations. This is because measuring in this configuration only works in one direction, and so this method cannot be reliable. Additionally, it can not be used in compliance with new multimode fiberoptics loss measuring standards, which mandate the use on an LED source with defined characteristics. Cost – If you plan to use an OTDR frequently, it makes sense to buy a good one. If not, you’ll want to rent one when you need it, but make sure you rent a unit that was recently calibrated. Moreover, you make know that misapplication of OTDR testing will cost you much in wasted time and materials. Fiber type: Singlemode or multimode. Wavelength: Singlemode is set for 1310 nm or 1550 nm, and multimode is set for 850 nm or 1300 nm. Measurement parameters: The typical parameters to be set are distance range, resolution, and pulse width. Event threshold: This determines how much loss or change will be tagged as an event. Index of refraction: This is the speed of light in that fiber. You can obtain this figure from the fiber manufacturer. In most cases you can take it directly from a standard specsheet. Display units: These are usually labeled in feet or meters. Storage memory: This should be cleared so a new figure can be saved and/or stored. 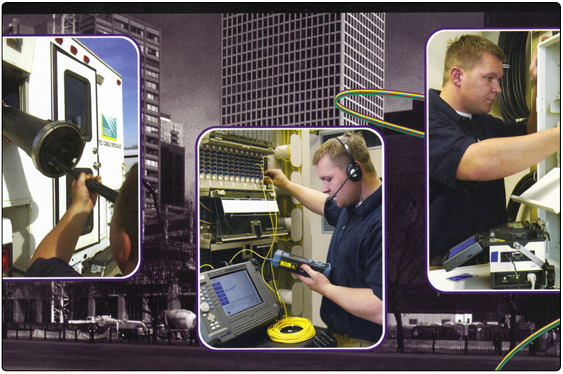 Dead zone jumper: You must connect this fiber, which should be sufficiently long, between the OTDR and the fiber under test. Sometimes you may have to connect it at the farend of the cable, as well. At times, you will encounter some obstacles you cannot overcome. The following events will put your troubleshooting skills to the test. Nonreflective break: This occurs when a fiber has been shattered or immersed in liquid. In both cases, very little light reflects back to the OTDR, and it’s difficult to identify the break. Gainer: A gainer is a splice in a fiber that shows up as a gain in power. A passive device like a splice cannot generate light and cannot cause a gain in light. But if there is amismatch in the fibers that are spliced, it may appear to the OTDR as a gain. For example, if the splice goes from a 50-micron fiber to a 62.5-micron fiber, the difference in backscatter coefficients (the 62.5-micron core being larger) appears to the OTDR as a gain in light. Ghosts: Ghosts are repetitions of a trace or portion of a trace. They are caused by a large reflection in a short fiber, causing light to bounce back and forth. Since OTDRs are very expensive and have only specific uses, the decision to buy one must be made carefully. When selecting the right OTDR, network engineers should make sure the tool has certain functionality, such as loss-length certification, channel/event map view, power meter capabilities, an easy-to-use interface, and smart-remote options. In addition, the OTDR needs to provide a reliable means to document the results. However, if you are not familiar with their operation or cannot understand the results of OTDR tests, it would be much better to hire a specialist to do the testing for you. ODTRs are valuable fiber optic testers when used properly, but improper use can be misleading and, in our experience, lead to expensive mistakes for the contractor. Once you’re familiar with its limitations and how to overcome them, you’ll be prepared to detect and eliminate your optical fiber events. In a word, if you have an OTDR, it is very important for you to understand how to use it correctly and take good care of it. This entry was posted in Fiber Optic Testers, Fiber Testers & Tools and tagged Optical time domain reflectometers, OTDR. Bookmark the permalink.